Quantity: 35 pieces per pallet. 140 sqft. Golden Sunset Tumbled is a 3cm, 24x24 square travertine paver. The colors in the tile vary from gold, sienna, orange, tan and cream with varying patterns of white and gold on the surface. 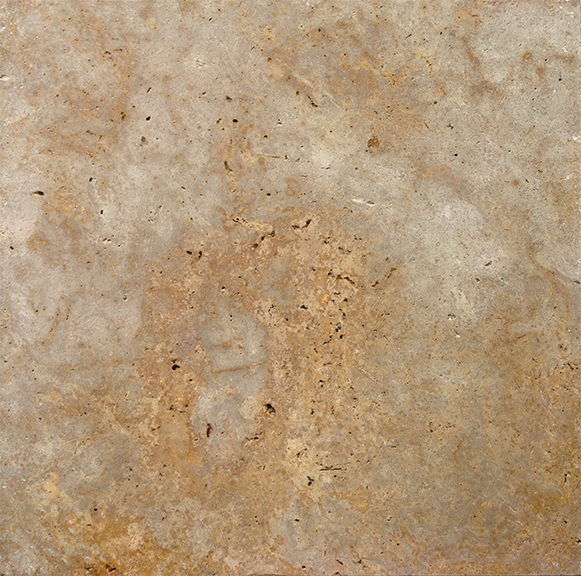 This tile is also known as Sienna Gold, due to it's brilliant color and vibrancy. 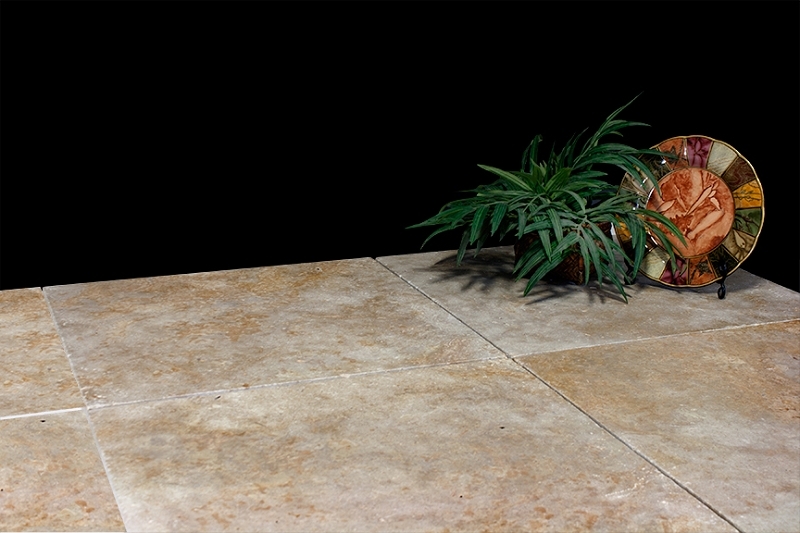 Golden Sunset pavers have a tumbled finish, which gives the tile a rustic, natural look. The edges are rounded as well. The pits and grooves are left unfilled to keep the characteristic texture of travertine. Golden Sunset travertine pavers contain 35 pieces per pallet, which is equal to 140 square feet. This is an overstock product and is at a special sale price for the summer. 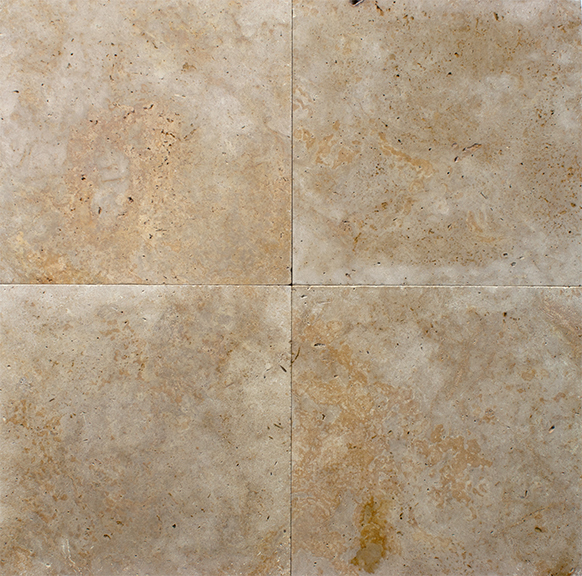 Bring Golden Sunset travertine to your home before time runs out! Golden Sunset is ideal for outdoor use, such as landscaping projects and patio areas. It can be used in gardens, around the pool, and surrounding water features such as ponds or fountains. 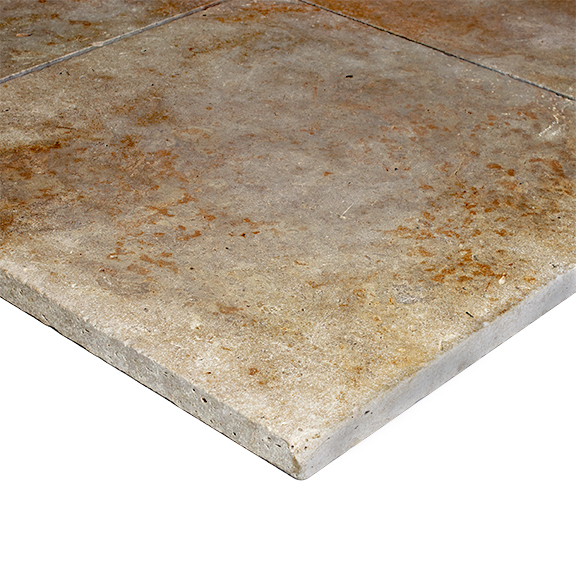 Travertine pavers are also great products for driveways and yard pathways.